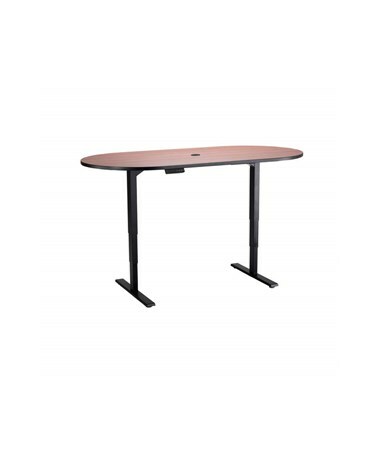 Adjustable height of 23.27" to 49.75"
The Safco Electric Height-Adjustable Teaming Table is a racetrack style table with an adjustable height of 23.27 inches to 49.75 inches. It is great for personal workspaces, meeting rooms, computer labs or home offices. 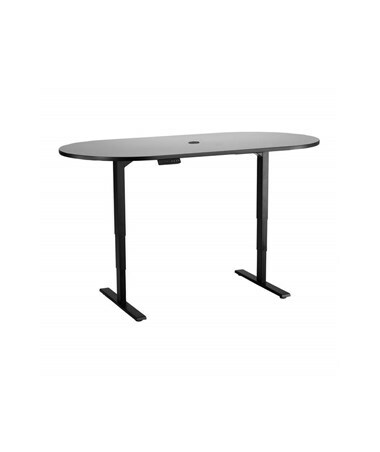 The table’s height adjustability is controlled by a digital handset that has four memory presets to easily and quickly move between preferred heights. Its 1-inch thick table top has a 3mm black vinyl T-Mold edging and can hold up to 353 lbs. Also included are two cable grommets for cord management. 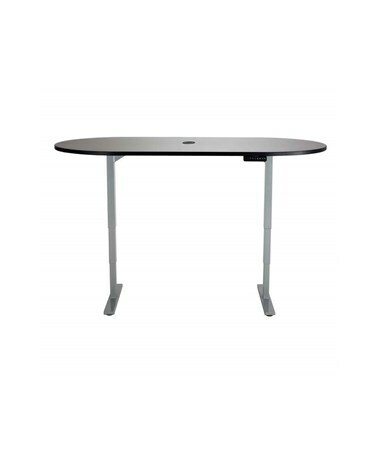 The table’s work surface is made of high-pressure laminate while the base is made of steel. 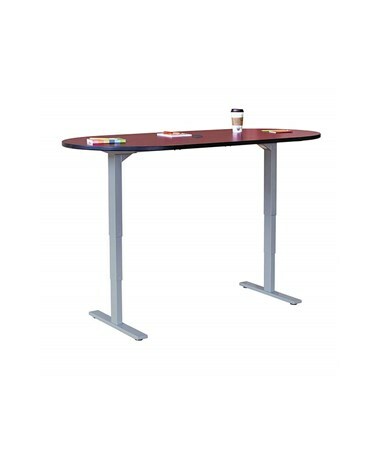 This electronic teaming table meets ANSI/BIFMA safety standards. 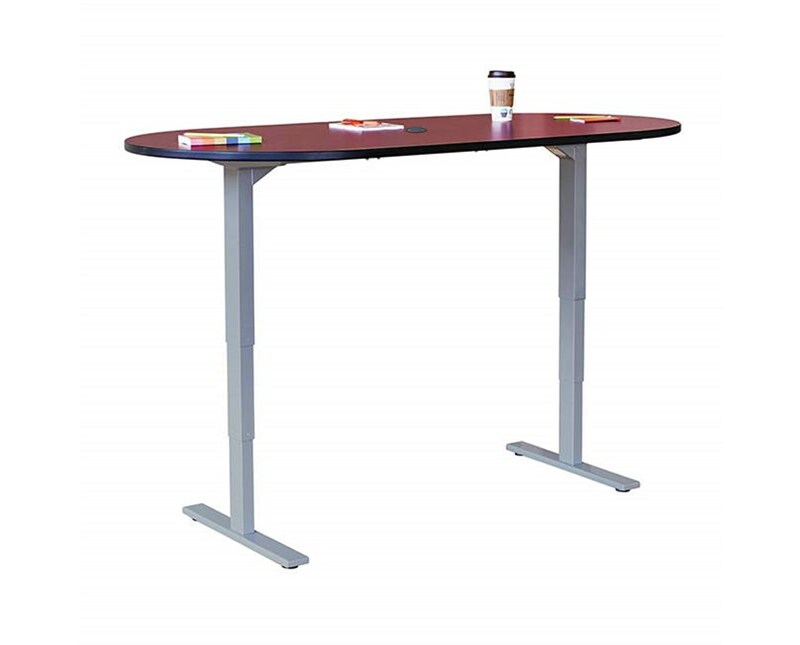 The Safco Electric Height-Adjustable Teaming Table comes in different sizes and colors. Please select your preference from the drop-down menu above.